Ian and Samantha head to a national park, hoping the bush will give them space for some quiet time together. They arrive at an isolated campsite to find an SUV and a tent – no sign of the occupants. As night falls and the campers fail to return, Ia... show all n and Sam grow increasingly uneasy. 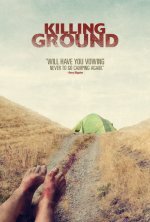 The discovery of a distressed child wandering in the woods unleashes a terrifying chain of events that test the young couple to breaking point.